On May 2nd, 2012 the International Center for Photography (ICP) will honor Daidō Moriyama and Ai Weiwei at their 28th annual gala event in NYC. The Lifetime Achievement Award will go Daidō Moriyama. 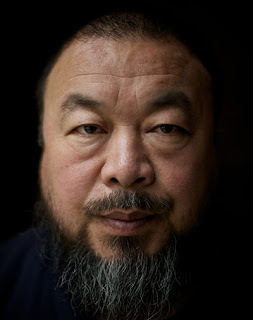 The Cornell Capa Award will be granted to artist Ai Weiwei. Born in 1938 in Osaka, Daidō Moriyama is an innovative street photographer whose high-contrast images portray an unstable, uncertain world. In the 1960s, he served as an assistant to photographer Eikoh Hosoe and then began his own freelance career. He has received multiple awards, including the New Artist Award from the Japan Photo Critics Association (1967) and the Lifetime Achievement Award from The Photographic Society of Japan (2004). His work has been exhibited throughout the world, and his numerous books are considered landmarks of photographic publishing. Born in 1957 in Beijing, Ai Weiwei is known for his audacious conceptual sculpture and photographs, and for his photographic images of New York’s Lower East Side in the 1980s. He gained international prominence after the Chinese government shut down his politically dissident blog and then seized him on spurious tax-evasion charges in April 2011. His three-month detention in prison provoked an outpouring of protests from artists, museum directors, and human rights advocates, leading to his release in June 2011. His work has been exhibited worldwide.